Welcome to Rockin' NJ Kennels! Welcome to the Rockin’ NJ Kennels located in Trenton, Texas. 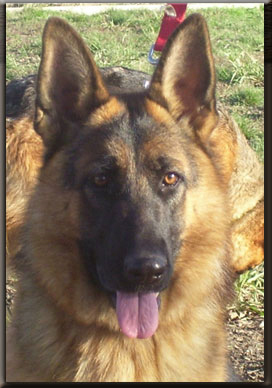 We are proud to raise quality German Shepherds for you and your family. If you are looking for a new family member, we have what you are looking for. Great temperaments, gorgeous red/black color, and outstanding pedigrees. Come on in and meet our wonderful guys and gals. We have several new members added to our family. Enjoy your visit and don’t forget to check out our past litters and testimonials.